Danwill Maans is such an enthusiastic and determined student that it is heart-warming to know that, although he is not based in a major city, he has top-class internet access at his campus – thanks to a state-funded scheme which has ultimately helped prepare him for his career. It turns out the word is ‘’accoucheur’’ but it is hardly ever used. Mostly people use ‘’midwife’’ regardless of the gender. Not that there are many male midwives – they comprise 2% of all widwives in the US; and 0.4% in the UK, where men weren’t even allowed to study midwifery until 1975. There are no readily available stats for accocheurs in South Africa but there can’t be many as less than 10% of registered nurses are male. 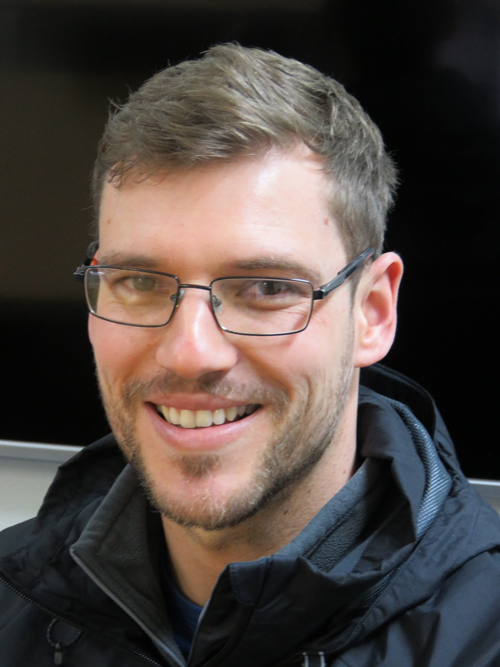 Mr Danwill Maans, a fourth-year nursing student specialising in midwifery, is benefitting from enriched teaching and better access to online library sources – thanks to the USAf-driven enhanced internet connectivity for his nursing school linked to the Cape Peninsula University of Technology. Maans, 23, chose nursing as a career because ‘’I love working with people, where I can make a difference’’. His late grandmother Katrina had dementia but he and the rest of the immediate family she lived with didn’t have a clue about her illness; they were not even given a name for it, only told she was sick. So he learnt the hard way that educating a patient’s family is as important as treating the patient. I am well-educated about it. Now I am on top of everything,’’ he says. Confident? Yes, but seemingly deservedly so. Fourth-year nursing students prepare a group project: a slide show with audio on breastfeeding, in the computer laboratory. From left, Ms Bianca Valentin; Ms Elza Coetzer; Mr Gary Michaels; Ms Elzanne Botes and Ms Shahida Africa. Not only Maans but all the students encountered on the George campus come across as engaged with their studies, polite enough to smile for the camera or chat to a stranger, but quick to get back to their studies. This tone – ‘’ít’s discipline’’ says Maans – is clearly set by the head of the campus, Rosemary Byrnes, and her team. 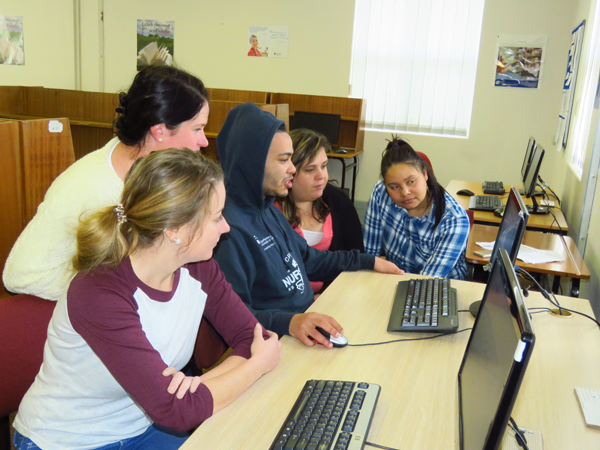 It’s not only good management; Universities South Africa (USAf) has also helped by upgrading their internet access through the Rural Campuses Connection Project (RCCP). This is a USAf-driven project funded by the Department of Higher Education and Training (DHET) and implemented by the Tertiary Education and Research Network of SA (TENET). 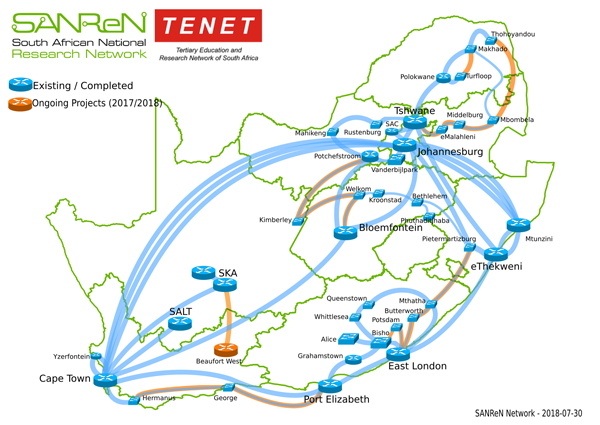 The project resulted from a proposal from the then Higher Education South Africa (HESA), USAf’s predecessor, to the Department of Higher Education and Training as far back as 2008, seeking funding support to enhance broadband connectivity to priority ‘rural’ campuses that had not been connected to the SANReN national backbone network. By introducing appropriate technology connections, HESA was seeking to improve infrastructure and learning environments in rural campuses; to provide the necessary capacity development in the earmarked campuses with the aim of getting them ready for the improved technology; to enable them to optimise the enhanced internet connectivity to improve teaching and learning as well as research, while also providing initial operational and maintenance support. Campuses are deemed to be rural if not located within any of the seven metropolitan areas served by the SANReN backbone ring (off the urban edge). The RCCP footprint within the SANReN and TENET network extends from the Cape Peninsula in the south, all the way to the universities of Venda and Limpopo in the north, further encompassing sites belonging to the KwaZulu-Natal and Eastern Cape-based institutions in the east. In the interior, the RCCP has also benefitted multiple campuses of the University of South Africa; the North-West University, the Sefako Makgatho Health Sciences University and the University of the Free State, among many others. USAf used specific criteria to prioritise institutions, such as the relative importance of the campus for the institution, the degree to which the locality in which the campus is situated is served by telecommunications providers and the university’s history. The initial R28 million grant from the DHET led to project Phase I which commenced in October 2010 and ended in March 2014. A total of 22 campuses were connected during that initial phase. Successful conclusion of RCCP I led to the DHET approving a further R70m grant for RCCP II for implementation over a four-year period from March 2015 to April 2019. 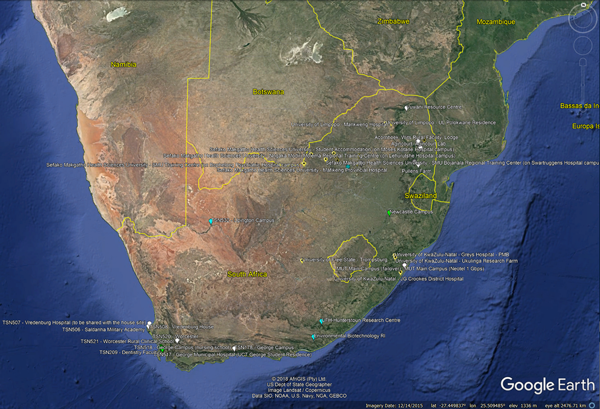 The Google map above has plotted all the RCCP II sites — completed and in progress. By the end of RCCP II in March 2019, 107 sites will be connected to the SANReN network. As at 30 September 2018, 55 campuses approved for RCCP II had been connected. USAf anticipates to connect a total of 107 sites by the end of this phase in March 2019. For most of the remaining sites work towards connection is in progress. In George, the project has not only transformed learning and teaching on the nursing campus but has also paved the way to placing senior medical students in the town for long-term stints. South Africa is dotted with educational initiatives but this one does seem to be making a difference and ‘’bridging the digital divide’’ between rural and metro campuses. Maans outlines his experience of the progression: in his first year they shared computers, then the campus acquired computers but they still had to go to an internet café in town where they did random research. Now, thanks to the upgrade which happened in September 2017, they can access CPUT’s online library which has ‘’reliable resources’’, he says. This access was especially helpful in focussing the reading for his research proposal on midwives’ knowledge and use of partograms, a chart which documents the progress of women in labour. “When we have an assignment we can go online, go onto Google, it’s quick-quick-quick, get your information, load it onto your (memory) stick and go home and work from there,’’ says Maans. 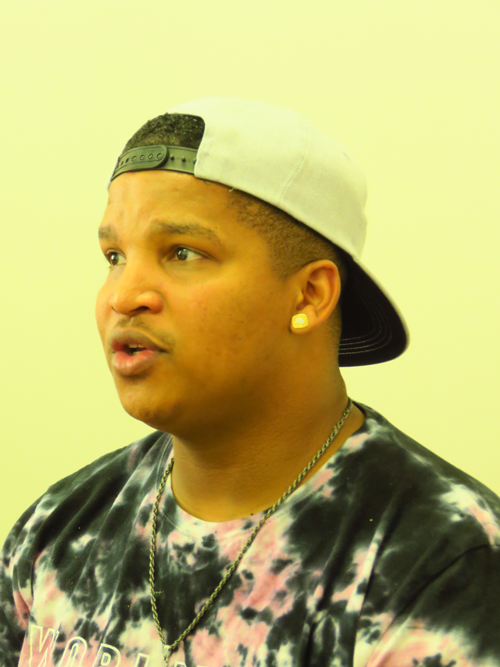 ‘’If we had wifi in Res, it would be even more on fleek’’. 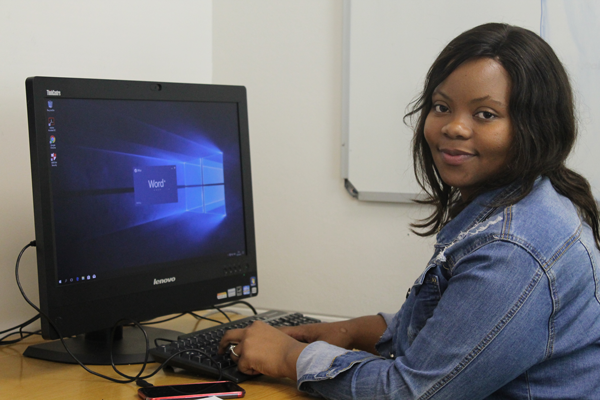 ‘’Access to the online library has changed the way I study,’’ says Ms Palesa Mokoena, another 4th year nursing student. The faster internet also means they can now access Blackboard, the learning management system software which SA universities favour. This allows Maans, Mokoena and their mates to see the PowerPoint slides and Youtube videos their lecturers used in class, check out the year plan for their courses and find out their marks. Down the road from the nursing campus, at George Hospital, where 21 final-year medical students from the University of Cape Town (UCT) are based for the year, connection to the wireless service Eduroam in about July last year has upgraded the site’s entire operation. The medics, who apply and get selected to spend their student internship sixth year in George, rotate between eight clinical disciplines such as paediatrics and neonatology, internal medicine, and surgery. 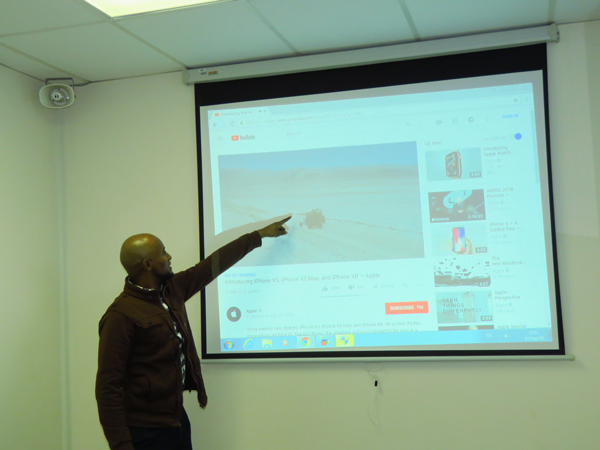 They have face-to-face contact with their lecturers and classmates in Cape Town by means of tutorials done via videoconferencing in a specific room set up exclusively for the purpose. When the system was first set up in 2016, there were endless problems. Site coordinator Althea Solomons said: “Sometimes they could see the picture but the audio was bad. Or they could listen but if there were presentations on the screen they couldn’t read them. They would have to have a friend in Cape Town who could send them their notes. “Imagine what I sat with? Hysterical students; and I am not an IT person; I am just the back-up between the students and the IT people in Cape Town. The students went ballistic. Now it’s a dream,’’ said Solomons. The upgrade has also helped the exam system. Connected to UCT’s online environment Vula, the students are able to do online exams with the computers having a Lockdown browser which locks out all external resources such as Google. “Since we received the broadband upgrades, bad audio, fuzzy presentations during video-conferences and hysterical students are a thing of the past,” says Ms Althea Solomons, Administrator and Site Co-ordinator for the George Hospital Medical Campus. And the cost-saving has been phenomenal. 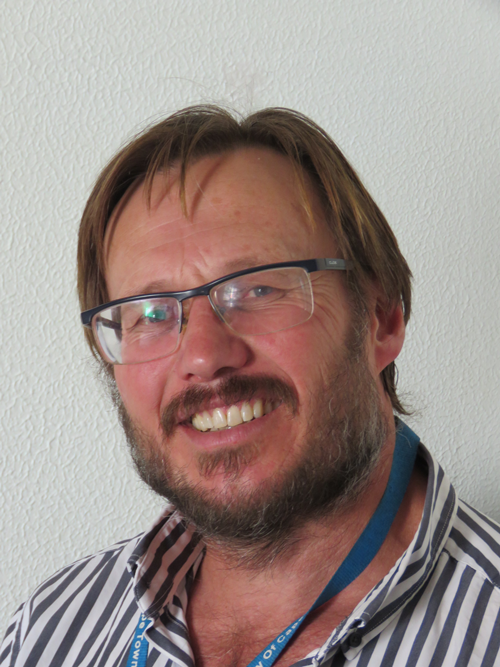 Jerome Corns, ICT manager for Health Sciences at UCT, said when their free usage expires at the end of the year, they will pay about R9 000 a month for the connection compared to the R31 840 of the previous system, a monthly saving of almost R23 000. Plus the new system is faster and more reliable. It is not, of course, perfect. 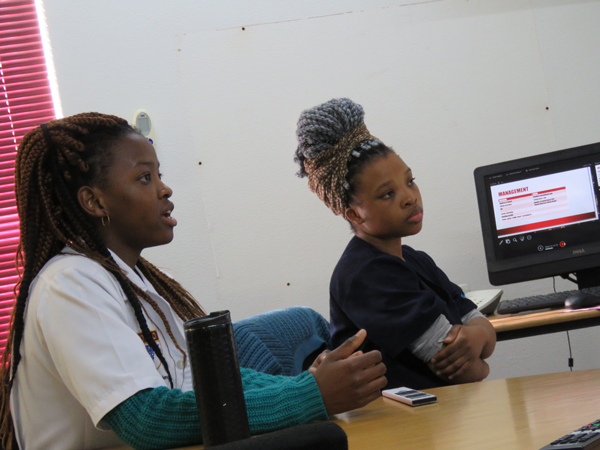 I sat in on an obstetrics tutorial where Lunga Zulu, 24, and Ongako Tshomela, 25, presented a case-study to their lecturer and classmates in Cape Town via videoconferencing. Their presentation was impressive but when the lecturer spoke afterwards, the sound was fuzzy. I did not stay for their colleagues’ input but both Zulu and Tshomela said they couldn’t hear a word. 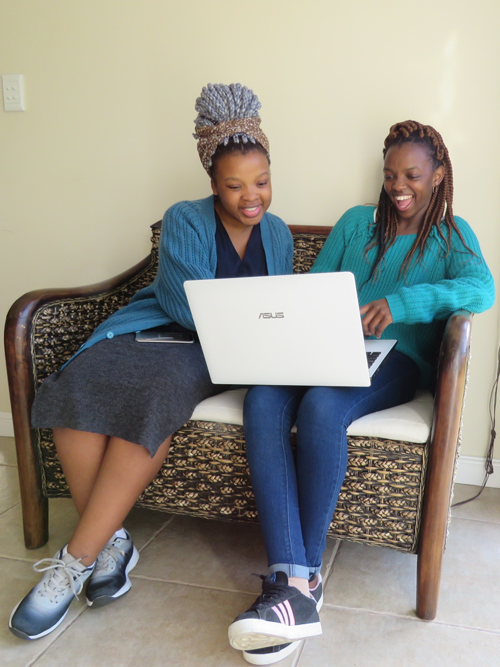 Notwithstanding the improved internet, students still often struggle to hear presentations made via video-conferencing, according to anecdotes related by sixth year doctors-in-training, Ms Lunga Zulu (left) and Ms Ongako Tshomela (right). Tshomela and Zulu are full of anecdotes about which tutorials they could hear clearly and which they couldn’t. It is a big concern. “If you can’t really hear what the discussion is about then you still leave with the same knowledge you had,’’ says Tshomela. “And when you come to the exam, something in Cape Town will be done differently compared to George but you’ll never know because even though you attended the tutorials you couldn’t hear anything’’. ‘’And some presentations are for marks,’’ says Zulu. Ms Ongako Tshomela (left) and Ms Lunga Zulu now get to enjoy free wifi access from their residence. Back in their residence, a double-storey house with a garden, we discuss their wifi connection. “Downstairs it works really, really well,’’ says Zulu. Upstairs, however, where Tshomela’s room is, it is very patchy and she often needs to work downstairs in the lounge. One of the other campuses has taken too long to set up its video conferencing so the George campus head, Byrnes, has to drive to Cape Town once a month for two days of meetings, a trip of about five hours each way, which has the added cost of hotel accommodation. The interactive white board in Classroom 6 enables lecturers to connect directly to online-based teaching aids, thus adding much needed value to teaching. Mr Juanito Davids, the IT support officer for the CPUT-linked Nursing School demonstrates how this facility works. Quick downloading is helping lecturer Esmarie Wiese with her research for the international project CASO (Caring Society 3.0 Consortium) which she is doing for CPUT, and working with UCT, University of the Western Cape and three European universities – Lahti in Finland, Karel de Grote in Belgium and Avans in the Netherlands. She is making a MOOC (Massive Open Online Course) on Care for the Caregiver, which will be uploaded on Lahti’s website, and has downloaded a lot of videos to provide the links for the course. 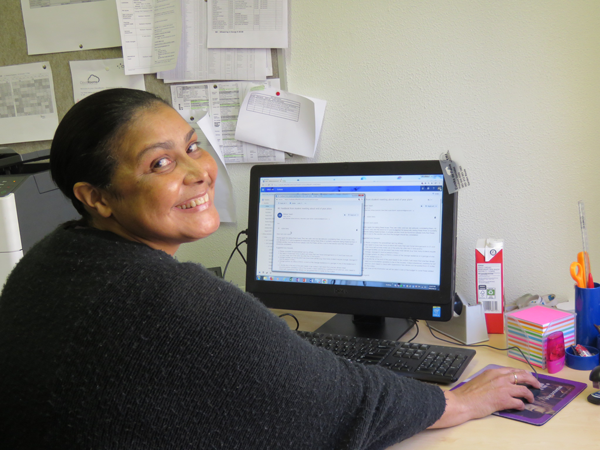 Esmarie Wiese, nursing lecturer: ‘’Now I get irritated with the wifi at home. I ám not the most patient person but here it is just tjoef-tjaf and then everything is done’’. 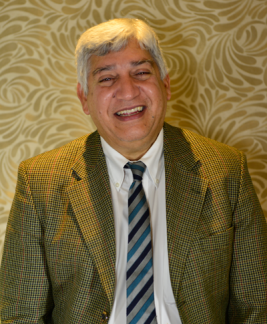 “This is exciting feedback that we’re receiving from students and staff,” Prof Ahmed Bawa, USAf’s Chief Executive, said. “The RCCP is a wonderful attempt to level the playing fields in the system by bringing about equitable access to high-speed networks to the most remotely located campuses. Hearing that our effort is beginning to yield the desired value validates the project and demonstrates that equitable education provision is attainable, after all. We must thank DHET for its vision and its very significant financial commitment to this project. This piece was written by Gillian Anstey, an independent writer commissioned by Universities SA. Photography supplied by Marina Pearson, also commissioned by Universities SA.